This gift guide is for the Roadtripper, the person who has to get out and see the world, whether it be by car, plane, bus or train. Those people who can’t sit still and who’s favorite book may be “On The Road”, who love to get out on an empty stretch of highway and just put the pedal down, and who need to find a way to a far off city or beach and just explore new climates. Check out the variety of items that can benefit those Roadtrippers from different ShareASale Merchants below! CityPASS is a booklet of admission tickets to the best attractions in a single city. You’ll save up to 50% compared to combined regular box office prices. Save time with easy access at most attractions, once you have your CityPASS booklet, skip the ticket line and head straight for the entrance. Join the CityPASS Affiliate Program on ShareASale. We are Viking Bags. We manufacturer of all the items for sale on this website. We are not just another online store selling products for a margin. Viking Bags is located in the Los Angeles area. All of Viking Bags’ motorcycle products are made of premium quality leather. Join the Viking Bags Affiliate Program on ShareASale. Our worldwide travel correspondents bring you the best and most up-to-date coverage of over 7,500 global destinations. In each guide, you’ll find insider tips; planning essentials; and expert hotel, restaurant, and sights recommendations to create a trip of a lifetime. Available in paperback and eBook formats. Join the Fodor’s Affiliate Program on ShareASale. Join the Viator Affiliate Program at ShareASale. HostelWorld.com is the world’s number one hostel booking website, facilitating bookings for over 24,000 hostels and budget accommodation centres arround the globe. Since the company was founded in 2002, it has grown to become a world recognized brand and the market leader for booking hostels online; providing innovative technology to inspire independently minded travellers everywhere. Join the Hostelworld Affiliate Program on ShareASale. BorrowLenses.com is the premier online marketplace for high-quality photographic and video equipment rentals. Not everyone can afford to buy high-end lenses or photography gear but, through us, everyone can now “borrow” them. Our services include great gear selection, exceptional customer service, plus convenient shipping and pick-up options. Join the BorrowLenses Affiliate Program on ShareASale. All-Battery.com (Tenergy Corporation) is the largest web site for rechargeable batteries of all kinds: AA, AAA, C, D, 9V, digital camera, laptop and 2 way radios, battery packs, Li-ion, Li-Polymer, battery chargers, DC/AC inverters and other mobile power accessories. 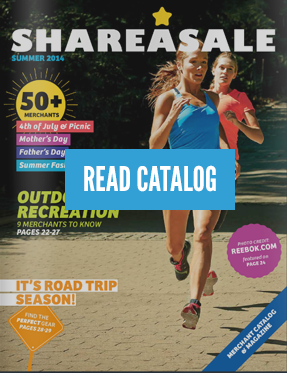 Join the All-Battery Affiliate Program on ShareASale. Everyone needs new tires at some point, right? Tires are one of just a few products that aren’t regularly purchased online. At TireBuyer, we see this as a massive opportunity. We’ve been selling tires and wheels online since 2009, and in the tire business over 75 years. Our brand-new, completely redesigned website will target busy, affluent online shoppers who want a convenient, hassle-free way to buy tires and wheels online. Join the TireBuyer Affiliate Program on ShareASale. Join the Backpack Travel Store Affiliate Program on ShareASale. Endless Vacation Rentals gives you quick access to destinations around the world. Many of our units include the comforts of home, such as a fully equipped kitchen, washer and dryer, living room, dining area, balcony or terrace and other helpful amenities. Some properties also come with a private or communal pool, hot tub, onsite fitness center and nearby shopping. Join the Endless Vacation Rentals Affiliate Program on ShareASale.